I have always loved traditions, big or small. I love planning for the future and reflecting on the past, and traditions are reliable markers along the way. They give me something to look forward to each year, and are opportunities to compare where I am, with where I’ve been. 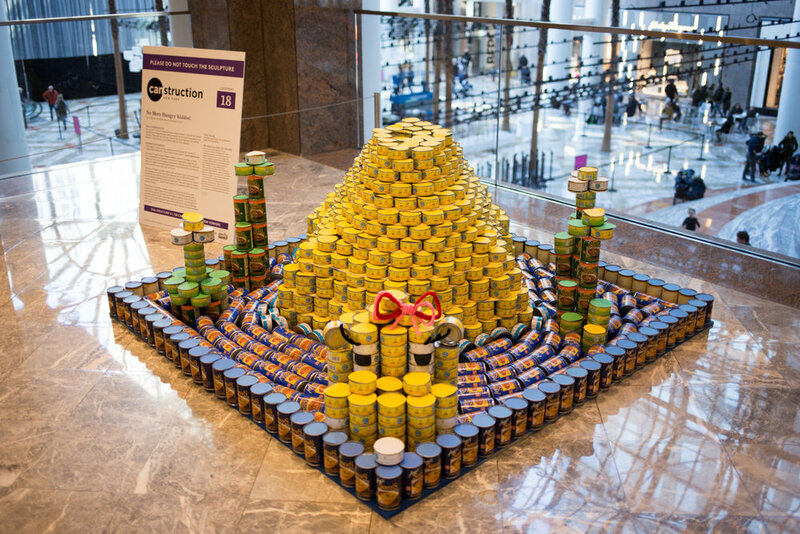 The annual Canstruction competition may not seem like it would inspire sentimental feelings, but this was our fifth year attending and I’ve grown to appreciate this time of year and see the event as marking the transition from fall to winter. 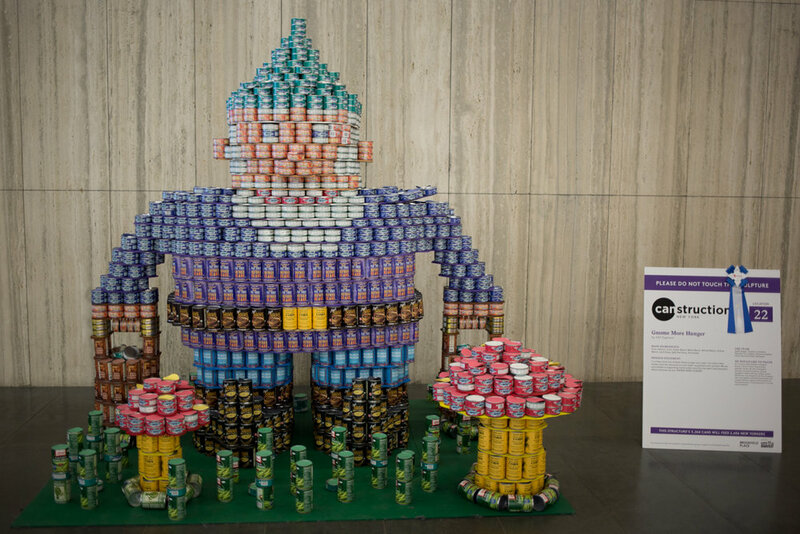 Every year, design industry professionals build sculptures made entirely out of full cans of food, which are then donated to local food banks. The sculptures are judged on local and international levels and there are junior and university-level competitions as well. Citywide chapters find teams, fundraise and find a suitable venue to exhibit the sculptures. 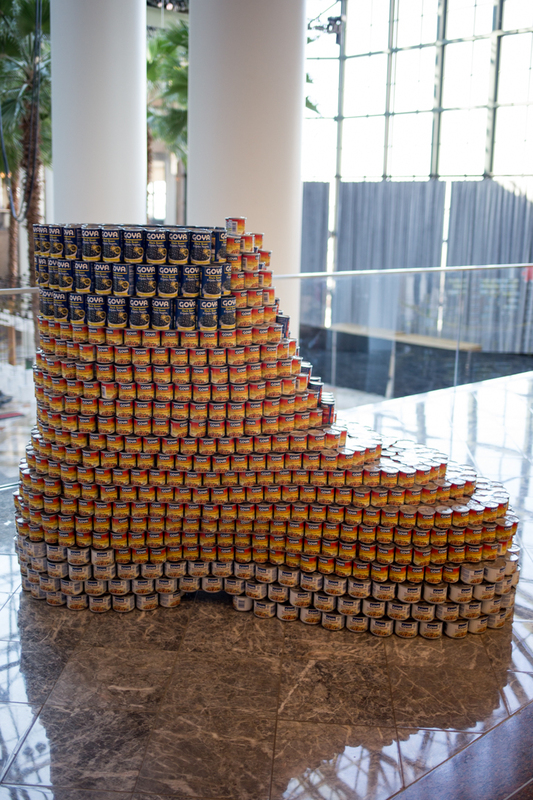 Teams are responsible for purchasing their own canned food and Canstruction events have raised 70 million pounds of food to date. 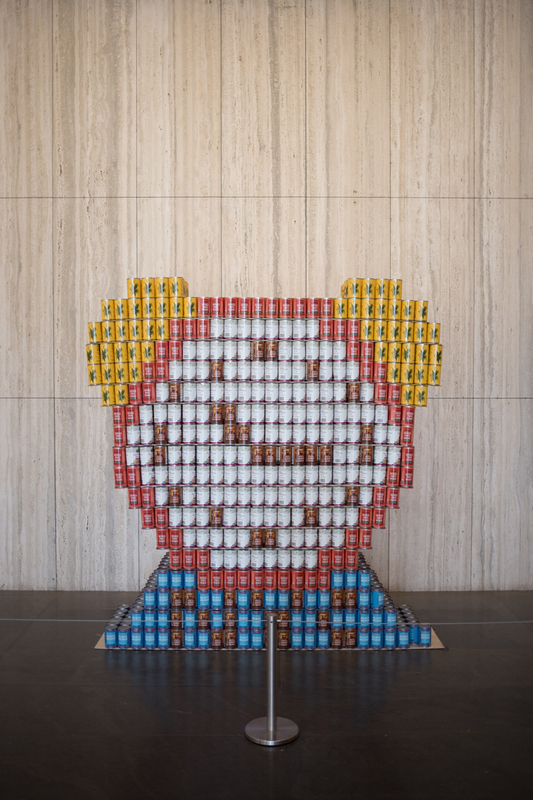 2018 is the 26th year for Canstruction, and more than 150 cities across North America and other countries hold competitions of their own. 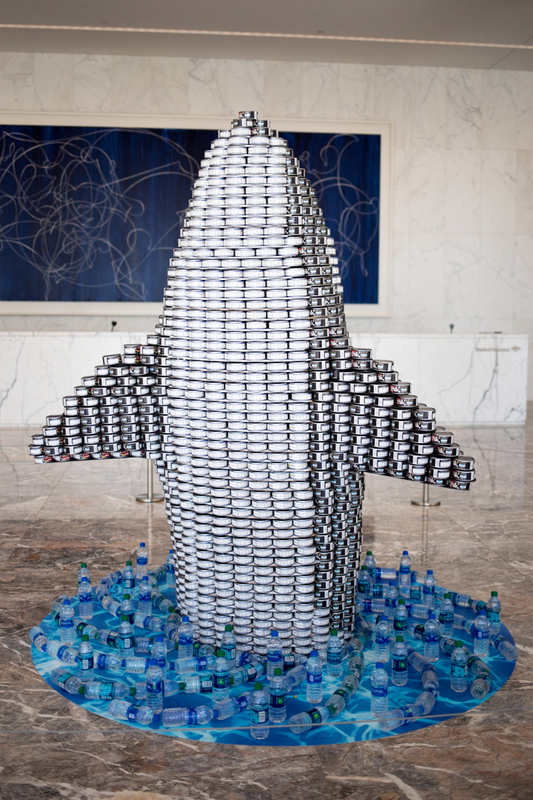 Sculptures can win in a number of different categories: structural ingenuity, best original design, best use of labels, best meal, people’s choice (vote here), and most cans used. NYC’s winner this year for most cans was the Grand CANyon which was built with 8,235 cans. Every year my mom and I walk around the sculptures like they’re in a modern art museum, critiquing their creativity, complexity and overall impact as if we have any qualifications to do so. The past few years have been disappointing compared with the first year we went, but we both thought there were some real winners this year. I loved all of the animals—fox, squirrel(s) and orca especially—but my very favorites were the garden gnome and the two New York row houses. 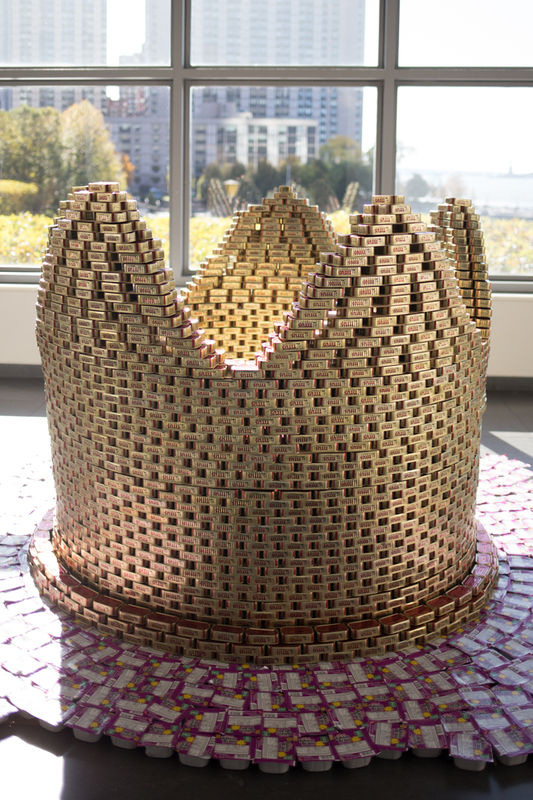 From the top: Let’s OutFOX Hunger / CANstruction Boot / Tools To End Hunger / My Kingdom For a CAN / Peeling Away Hunger / CAN Mahal / Time’s Up For Hunger / Sitting in a Tin Can / Hunger is Snot Cool / Grand CANyon / Outrunning Hunger / Interweave / Let’s OutFOX Hunger / Make Hunger Irr-elephant / Squirrel Away For Winter / Tackling a Whale of a Problem / Ralph the Squirrel / Our Pride and Joy (wow they really missed the obvious AmeriCAN, huh?) / CAN-un-DRUM / No More Hungry Kiddos! / Time’s Up For Hunger / Please Keep Your CANS and Feet Inside the Ride / Gnome More Hunger / Evict Hunger! Past competitions: 2014, 2015, 2016 and 2017. 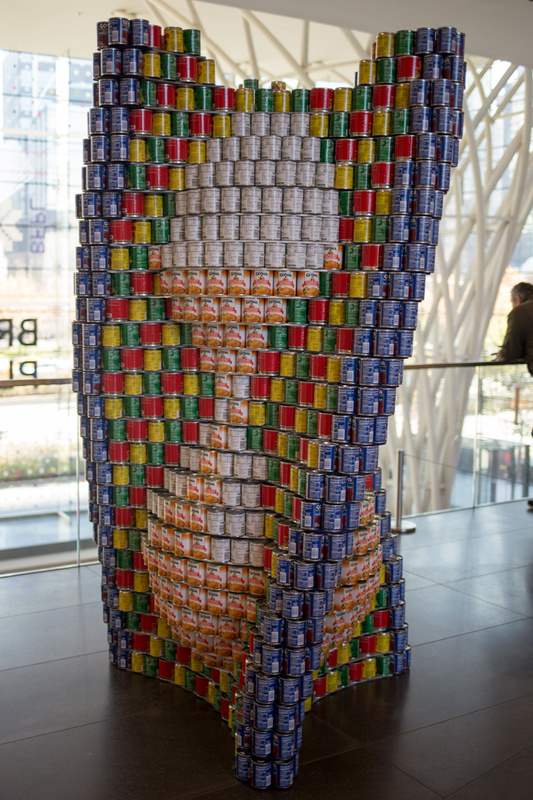 Canstruction 2018 sculptures will be dismantled 11/15 at 6pm. The sculptures are exhibited each year for about two weeks in early November.